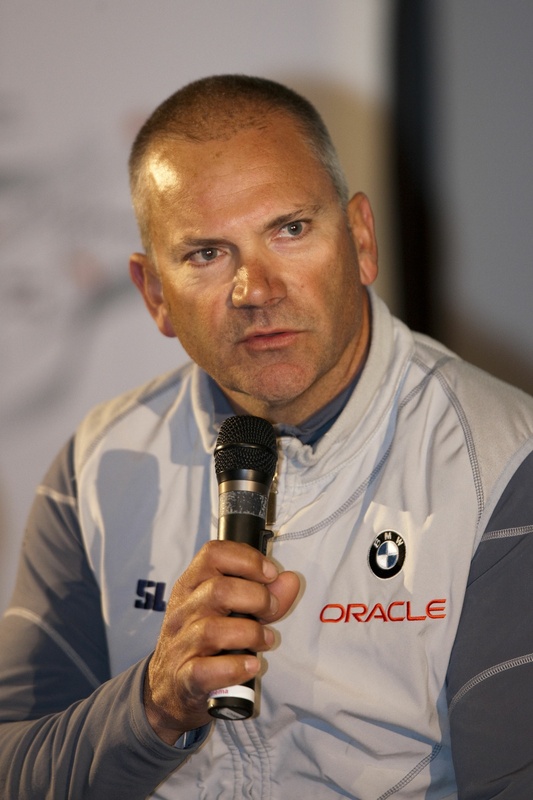 BMW ORACLE Racing team members have been the recipients of much recognition for the victory in the 33rd America’s Cup last February, and the awards kept coming Saturday night in Auckland. New Zealand members of the team’s design, build and sailing teams were co-winners of the Yachting New Zealand President’s Award for 2010 at the organization’s annual banquet. Yachting New Zealand presented the President’s Award to CEO Russell Coutts, Mike Drummond, the head of the design team, and boatbuilders Tim Smyth and Mark Turner, who were responsible for the construction of the 90-foot, wingsail trimaran USA. Also recognized were Ross Halcrow, Matt Mason and Brad Webb, the New Zealanders onboard during the 2:0 victory over Alinghi 5. 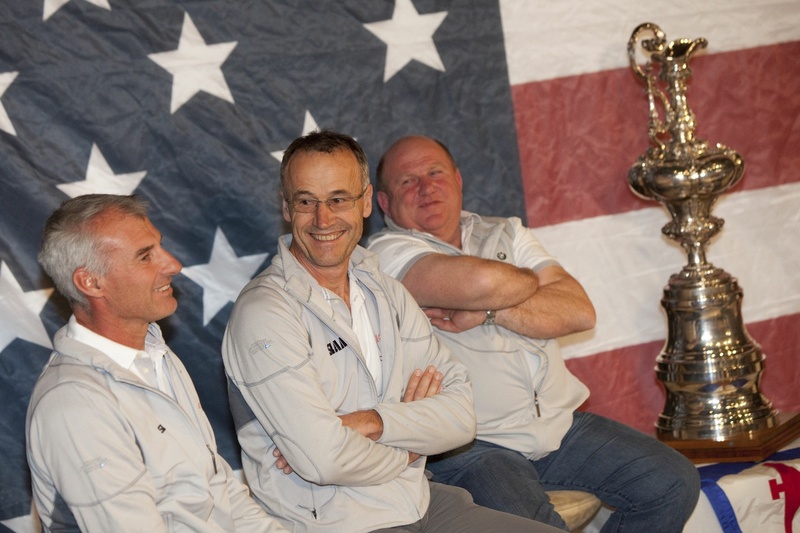 Coutts, Drummond, Halcrow and Mason were all part of the original Team New Zealand that first won the America’s Cup in 1995. 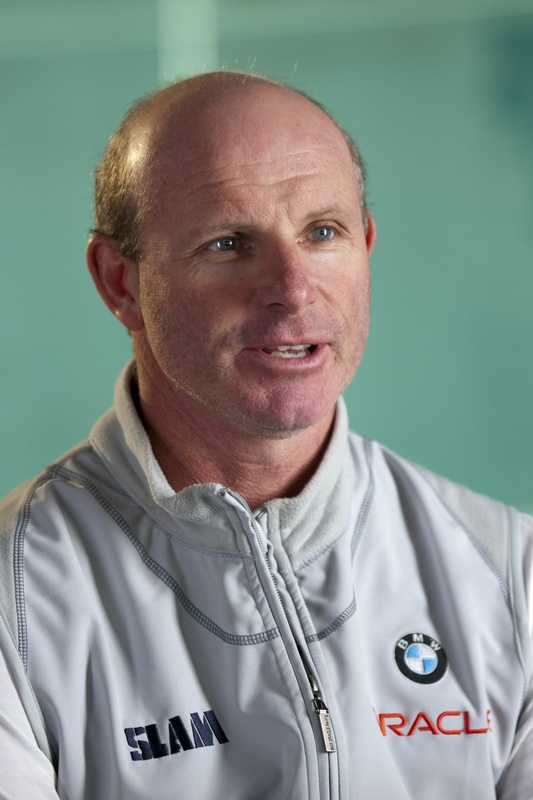 Coutts and Drummond have gone on to win the Cup four times and both are members of the America’s Cup Hall of Fame. Mason has won the Cup three times, Halcrow, and Turner twice, while the team’s win in February was the first Cup victory for both Smyth and Webb. The magnificent seven shared the award with Short-handed Sailing Association of New Zealand, which organizes a successful series of short-handed regattas throughout New Zealand. The Cup victory has been widely recognized in far-reaching corners of the globe. Previously in October, skipper James Spithill was presented the Australian Male Sailor of the Year award by Yachting Australia. Last summer the team was hosted at the White House by U.S. President Barack Obama, and Spithill rang the bell to open the NASDAQ stock exchange on June 30. 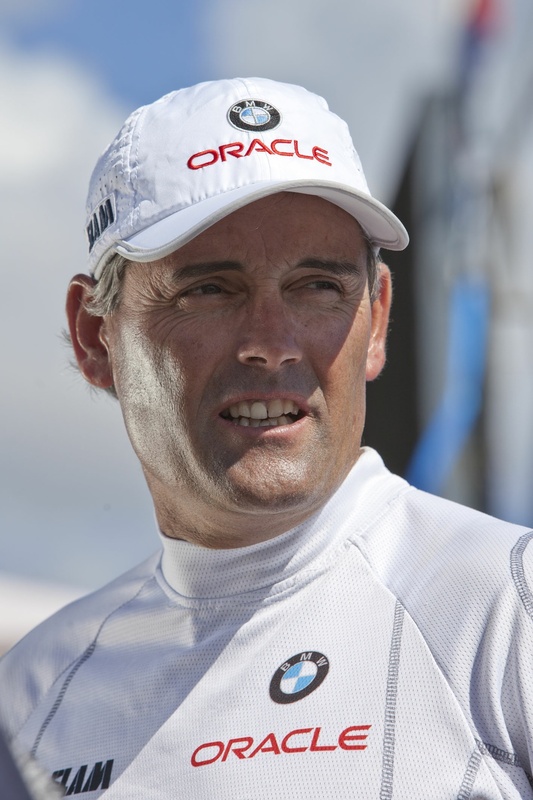 Additionally, team founder Larry Ellison (June 2010) and Smyth and Turner (September 2010) have won the Seahorse magazine’s Sailor of the Month award.